Spring has sprung! After a relatively long, rainy, and chilly winter for Southern California, plants are bursting their buds to soak up some sun. I can’t recall a winter around here that actually lasted until the end of the calendar winter. 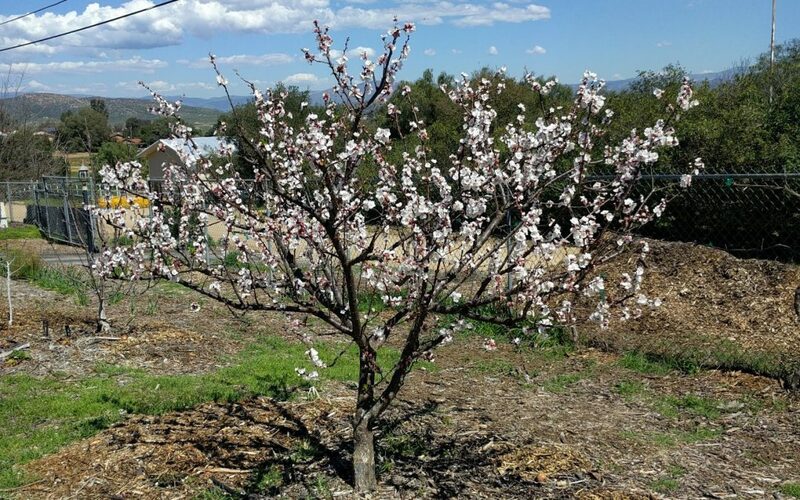 But March 20 has passed and flowers, such as those on my Blenheim apricot tree pictured above, have heeded the call. 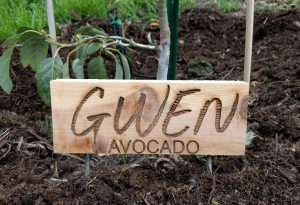 I’ve put together a collection of Yard Posts that can guide and inspire us in our food gardening this spring season. No two springs are the same, and so the posts I’ve chosen are informed by the unusual weather we’ve had going into this spring of 2019. 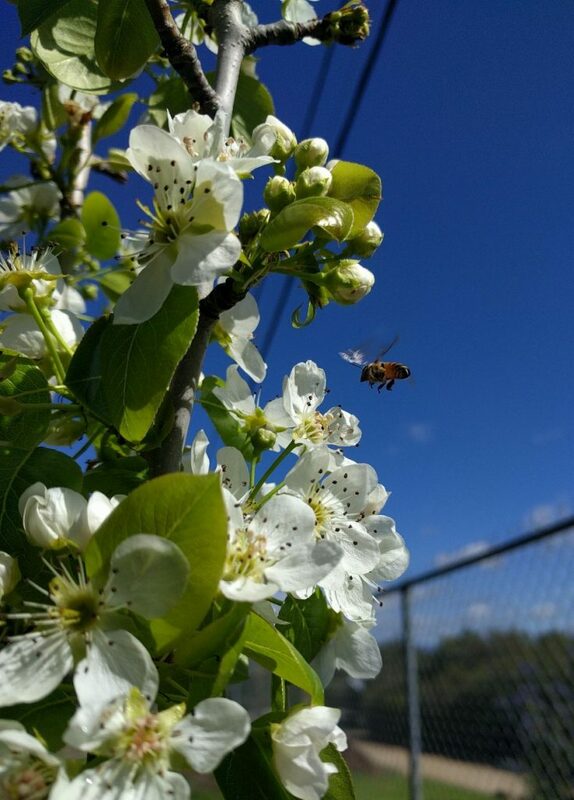 Foremost in my mind this last week has been the ascending bloom of fruit trees and other flowering plants, and with this, the appearance of greater numbers of bees and hover flies and butterflies and moths and hummingbirds to enjoy the nectar and pollen. Also, see “California Bees and Blooms: a book review.” I’ve been using this book co-authored by U.C. Berkeley’s Gordon Frankie to guide my planting of a dedicated bee garden — or “Pollinator Patch” I’m officially calling it so as not to offend non-bees who feed on the flowers. I look forward to writing a post about its development later this spring when it blooms more heavily. In the meantime, my broccoli is blooming. Is yours? 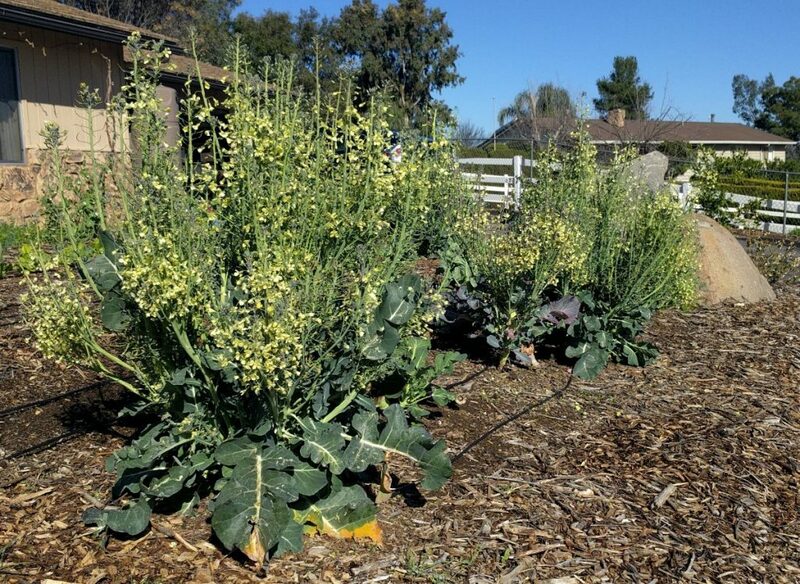 These broccoli plants grew, and were eaten, all through winter. 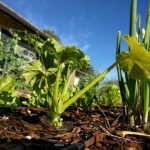 I think winter is the best time to grow vegetables in Southern California, but I do understand that most people think of spring and summer as the time to do a vegetable garden. 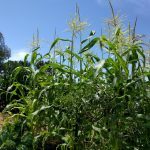 “Starting a vegetable garden in Southern California” is a post that lays down what I see as the essentials, particularly for our climate. 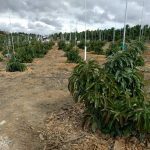 It so happens that in the recent March 14 episode of the Davis Garden Show, Don Shor addresses this topic related to both vegetable gardening and planting trees. His experience with, and elaboration on, why we don’t need to mix in amendments and fertilizers each time we plant is a great listen. Skip ahead to the nine-minute mark. 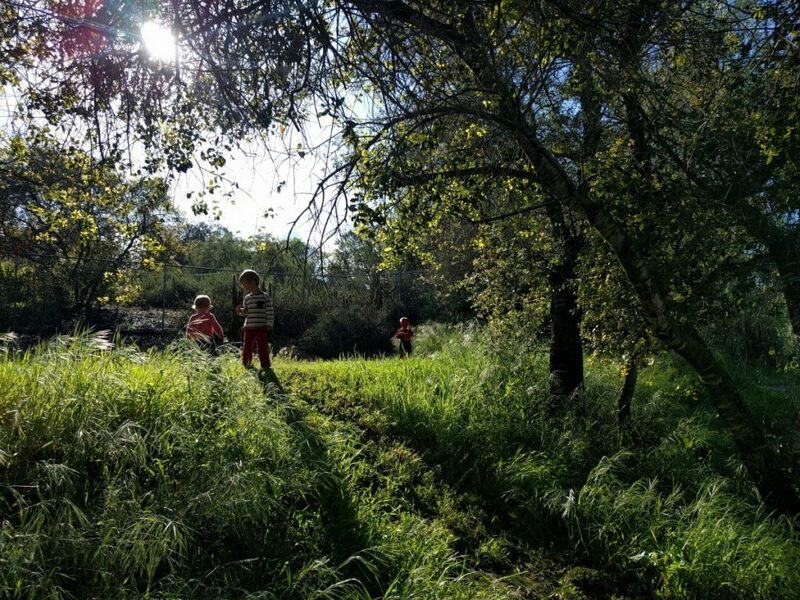 I’ve mowed some paths through the grass weeds on the hill so the kids can explore. This is not an example of outsmarting weeds, but it kind of looks pretty. 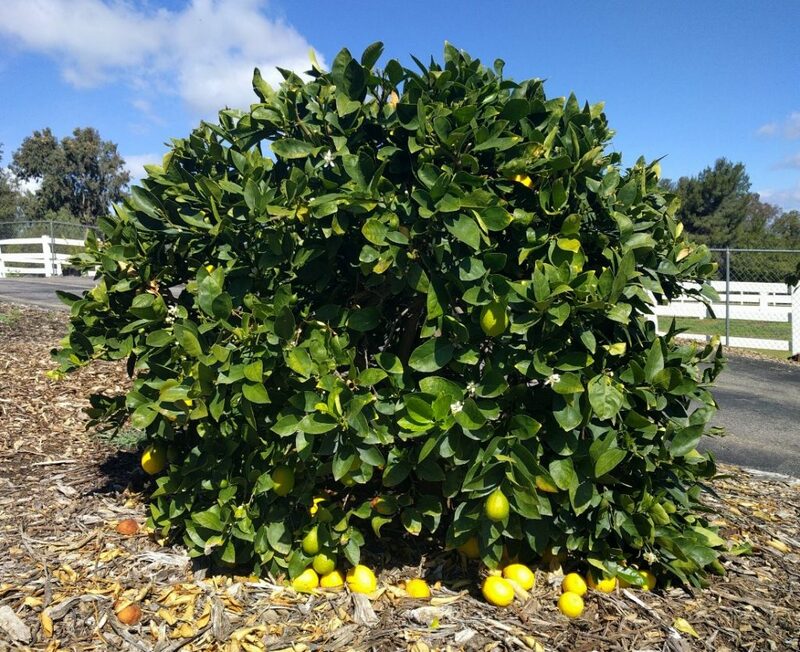 As for citrus, spring is also a nice time to plant because the little tree is actively growing and you’ll feel accomplished to see that. Like avocados though, citrus can be planted successfully all year long. I can’t think of a single month in which I haven’t planted a good avocado or citrus tree. Just pruned this seven year old Bearss lime tree, which I keep to about four feet tall. 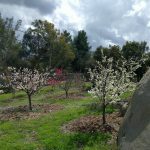 As we get deeper into spring and flowers become fruit on the trees, we’ll need to pay attention to the blessing of trees setting too much fruit. Because of the consistently cool winter, I anticipate fruit set on deciduous fruit trees being heavy. The flowering thus far supports that prediction. Looks like we may get our first crop on this Fanstil pear tree, planted as a bareroot in January 2018. Spring chicks are now widely available. We will be adding to our little flock in the next couple weeks. Have you been considering adding some chickens to your backyard but don’t think you have the space? 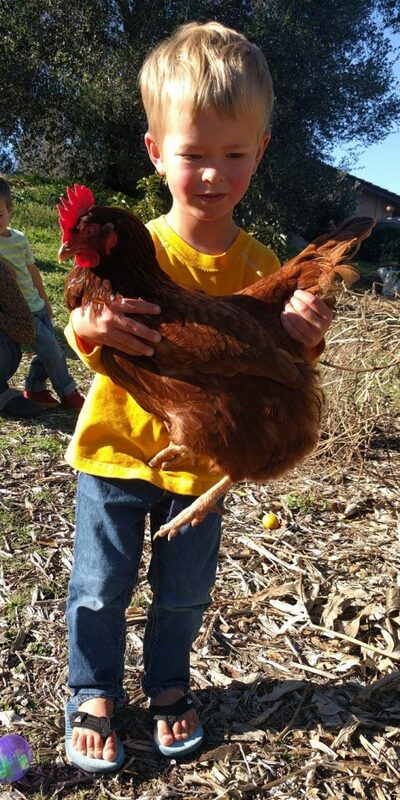 My chickens’ home is only four feet wide by eight feet long. That’s their entire enclosure. I’m writing a post on this small mobile coop that I keep them in, to be published this spring. Which one looks more uncomfortable?